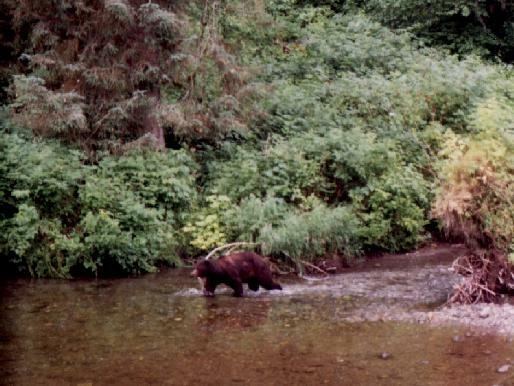 Here are some pictures of a trip we took thru the Inland Passage of Alaska. 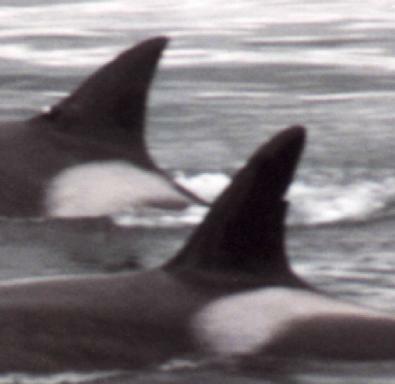 Three orca near the boat - the notch in the dorsal fin of the middle one should allow for identification of the pod. 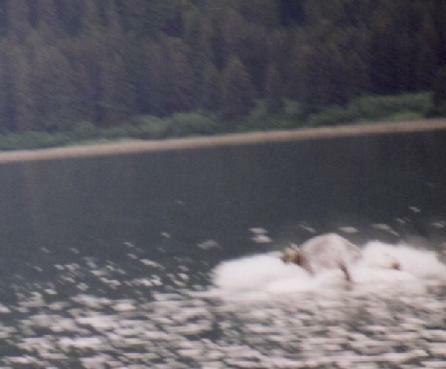 Taken near Turnabout Island (57 07 56 N, 133 57 32 W) in Frederick Channel around noon on July 6th 1998. 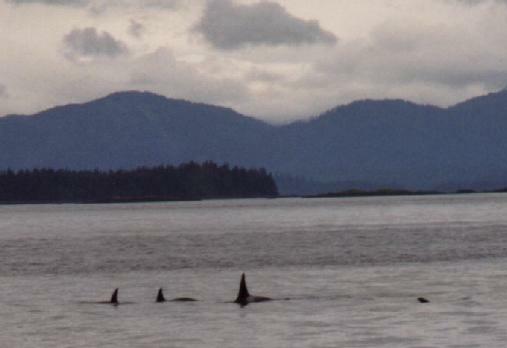 Four orca further away. The same three plus a larger one, same time and place. Breaching humpback - off Pt. Adolphus on the 9th of July. Your basic click-and-pray shot. Another breaching humpback - a little clearer this time. Same time and place. 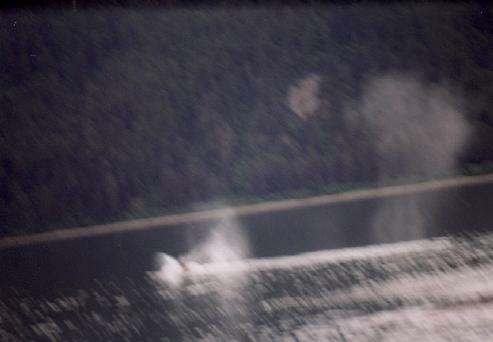 Brown bear - viewed from the observing tower above Pack Creek on Admiralty Island at 4:45 on July 13, 1998. All taken with a 200 mm zoom lens, 400 ASA film. 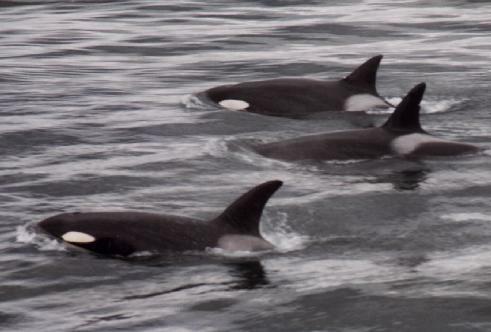 I cropped most of them, but the 1st orca shot was nearly full-frame. 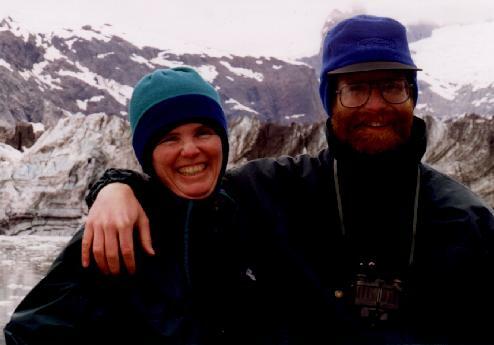 Credit goes to Alaska's Glacier Bay Tours and Cruises and Alaska Discovery for getting us there. Back to Neal's home page.